Last month, I finally got that magical yes. I had sent out a query and my manuscript. The publisher returned with: "We would like to publish this." And my first feeling wasn't canons firing confetti, angels singing, and me eating all the cake. It felt like this wasn't the right book. Not the right book to debut with and not the right book to get an agent with-- which when I was finally, truly honest with myself as I stared at that acceptance email-- was what I really wanted. I had thought I would be okay publishing without an agent. But when it came down to it...I couldn't say yes. I want an agent. And I want that agent to be my partner in business (b/c me and contract language and math: yikes). I have decided to give my original dream for my writing career one last chance. I'll finish A LOVE TURNED BITTER, which I feel is the best thing I've written yet, and query agents with it. And maybe if I don't get an offer, I'll go ahead and decide to query small publishers again. Or maybe I won't, and I'll try again w/the agent route for my next planned book (a horse racing one, eeee!) I don't know what frame of mind I'll be in over the next few years (heck, or even the next two seconds, heh), so I can't say for sure what I'll decide is best for me as I continue writing. I just know that at this time and moment, that this offer didn't feel like the right way to go. And I know that sometimes we don't always get our dreams exactly the way we want them. But I have worked HARD for this, and I owe it to myself to stay on the path I'm on, until it feels like the right time to depart and take a different one. Because I know when I have it right (whether that be signing w/an agent, publisher-- large, mid, or small--or self publishing) that there will be cannons firing confetti, angels singing, and all the cake I can eat. 1. 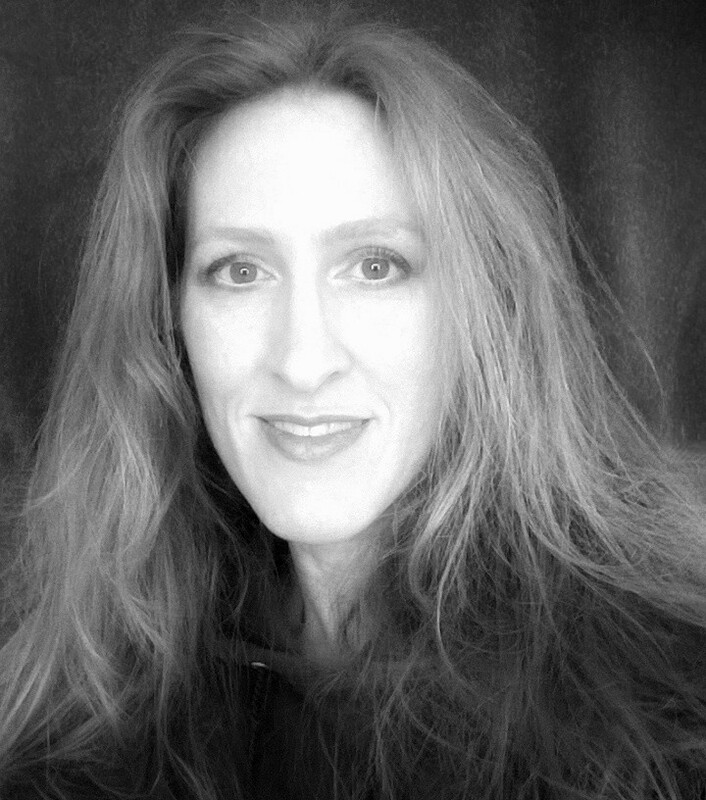 What challenges come with writing a companion novel? Paralyzing self-doubt. That’s the biggest hurdle I’ve had to cross in publishing a second novel. When writing LOVE AND OTHER UNKNOWN VARIABLES, I was in a vacuum—no expectations except my own (and eventually those of my critique group). But since I began writing LIFE AFTER JULIET, I’ve been keenly aware of many eyes waiting and watching for this story to unfold. 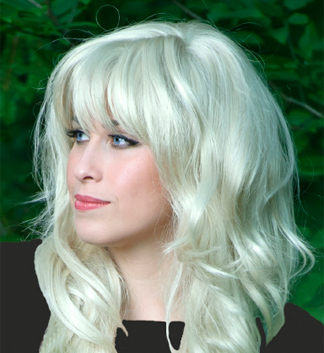 Becca Hanson was a secondary character in LAOUV, but one that most readers identified with (since she’s a bookworm herself). She was the perfect kind of character to use to insert yourself into the story as a reader. I didn’t do that consciously, but I began to realize that’s what she was for so many of LAOUV’s readers—a backstage pass into the action. Since so many readers identify with her, they’ve brought to her moderately fleshed out character their own sets of expectations and beliefs. Which meant that when I presented my first draft to my critique group, I got ten people telling me I had gotten Becca all wrong. And each of their ten interpretations of how I should have written her was VERY different. At that moment, I realized every LAOUV reader who picked up LAJ would possibly react that way. I completely froze—walked away from writing the story for months while I worried about what to do with Becca. How could I possibly make everyone like her? How could I possibly fulfill all those expectations? Why did I think I could write this story? And then I remembered that I was writing this story because it was a story I needed to tell, and Becca—my Becca—was going to help me get it done. In the end, you can really only ever hope to write stories that you yourself will like. If other people like them, too, then that’s an added bonus! 2. Do you have a favorite play? My favorite Shakespearean play is A Midsummer Night’s Dream. That was always my favorite unit when I was teaching. I’d bring in these silly costumes and we’d do reader’s theater in class. There was always a lot of laughter and some great discussions that ensued. In high school, I was a huge musical theater fan (although I cannot sing in any sort of key). That was back when Andrew Lloyd Webber had twenty-two billion plays on Broadway all at once. My absolute favorite was Phantom of the Opera. I listened to it about as obsessively as my daughter listens to Hamilton today. The success of Hamilton makes me so happy, too, because I felt like it’d been a while since there’d been anything huge that swept up young people and introduced them (in a big way) to musical theater at its finest! 3. What snacks (or rewards) get you through a rough writing day? All the Swedish Fish in the history of ever. 4. So, Romeo. 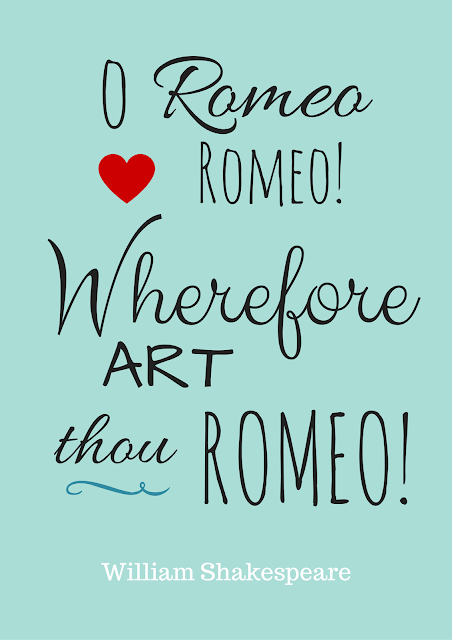 If Romeo were to instantly fall in love w/one of today's leading lady characters in YA, who would it be? Wow! I love this question! I’m going to say he’d fall for Cath Avery from Rainbow Rowell’s FANGIRL. Cath, at first glance, is shy, sweet, vulnerable, and a little naïve, which feels like the kind of girl impetuous Romeo would swoon over. He’d be able to appreciate her obsession with crafting the perfect romantic scene, too. I don’t think Romeo would be Cath’s type, though. I’m not sure he’s got enough substance for her. 5. I cried while reading LOVE AND OTHER UNKNOWN VARIABLES (such a fantastic book!). Will LIFE AFTER JULIET have this same effect you think, or would you consider it a lighter book than L&OUV? LAJ is a very different kind of book. It’s a book about living with grief, which isn’t so much about the big, painful, heart-wrenching stuff and more about the everyday, small, heart-building stuff of life. In a lot of ways, the highs and lows of LAJ are mirror images to those in LAOUV. Like Becca, it is quieter than Charlie’s story, but just as important. They are both, I hope, equally funny though. You may not cry as much, but you’ll get plenty of fun and a sweet, swoony romance. 6. 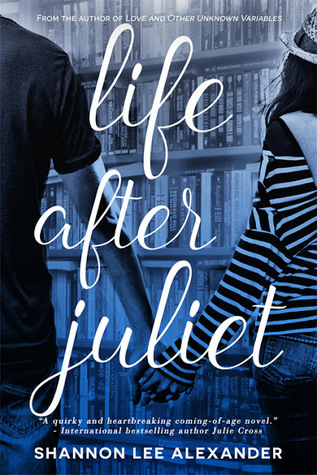 What is a fav line(s) from LIFE AFTER JULIET? The spotlight is no place for a bookworm. 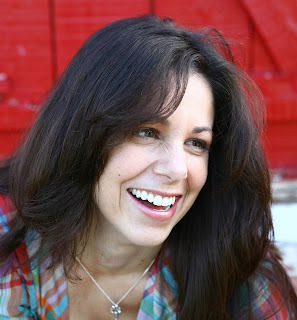 Also, Shannon is taking over the the Entangled Teen Fans Facebook page on 06/30, which sounds like a fun time. Swing by and hang out! And if you haven't read LIFE AND OTHER UNKNOWN VARIALBES yet (and I highly recommend you do!) the ebook will be on sale for only .99 cents from 06/30-07/10. 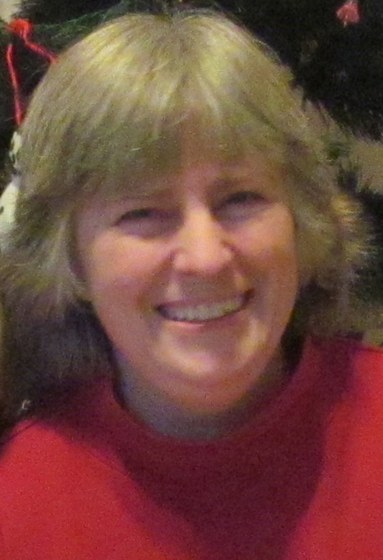 Guest Post by AJ Krafton + a Sale! Victorian tea time wasn’t always a thing. Tea has been around for thousands of years. In many cultures, it was customary to share tea with company. Tea was ceremonial, a sacred part of social law. In England, mealtimes evolved to include two main meals: breakfast and dinner. Dinner became an evening phenomenon, which was held after the work day. In the case of the upper classes, dinner was an event that lasted hours into the night. Afternoon meals tended to light and on-the-go and had no real structure. What we’ve come to know as “tea time” began with Duchess Anne of Bedford. Anne experienced a “sinking feeling” around three or four o’clock and would ask her maids to sneak her tea and pastries, since supper wouldn’t come until much later in the evening. At first, she had tea alone but eventually the practice was expanded to include her close friends. Thus, a tradition was born and tea time became a thing. Less food, more talking. Victorian tea time carried on the tradition of offering tea to guests. Tea was served in wide-mouthed shallow cups (nothing like our 16 ounce paper cups from the coffee shop). That way, tea could be sipped without waiting all afternoon for it to cool (or blowing on it, which could lead to sloppy accidents). Tea time became synonymous with company and socializing and was, in itself, a social event. 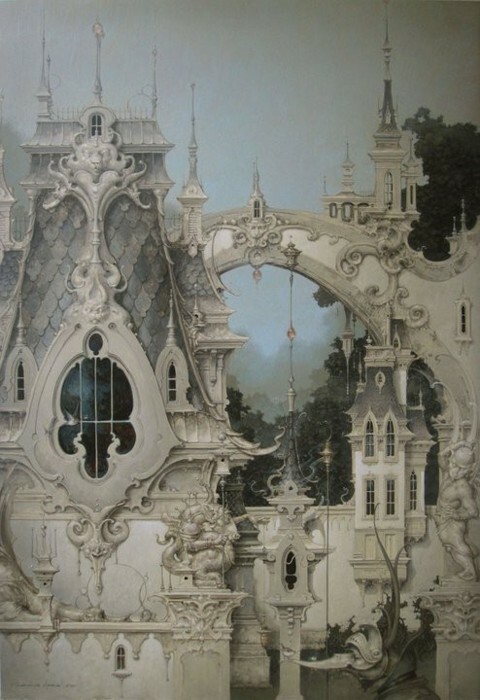 And Victorian events were elegant, spectacular things. It was customary to have tea in the parlor or garden. It provided a chance to show off the hostess’s best china and linens, as well her abilities to command the skills of her kitchen staff. Tea served not only to quiet the rumblings of a belly, it was food for the social soul. Dishes were customarily light and easy to eat without worry of a catastrophic mess. Eating was a dainty dance in itself. Tea sandwiches, cakes, scones, biscuits, candies and nuts were usual fare for low tea (named for the low tables around which guests gathered—think “coffee tables” in the living room). I found a website with loads of recipes HERE. I refer to it often when I’m looking to create a special little something. 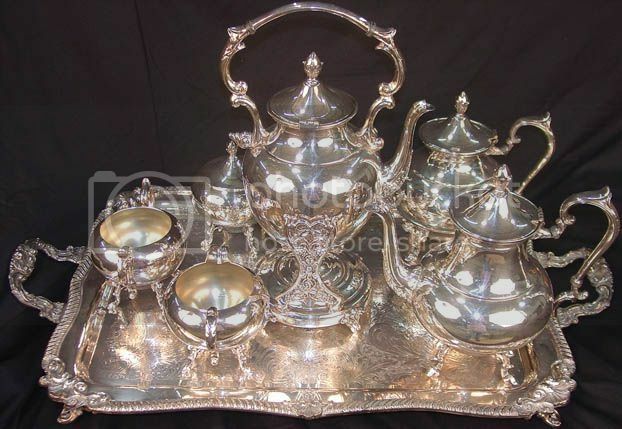 (By comparison, my tea service looks like this one. Not quite as shiny J but it makes a perfect pot, every time.) The overall goal of these tea parties was to ensure that guests enjoyed themselves so thoroughly that they completely lose track of time, ensuring the hostess’s graceful place in the hearts and esteem of all invited. 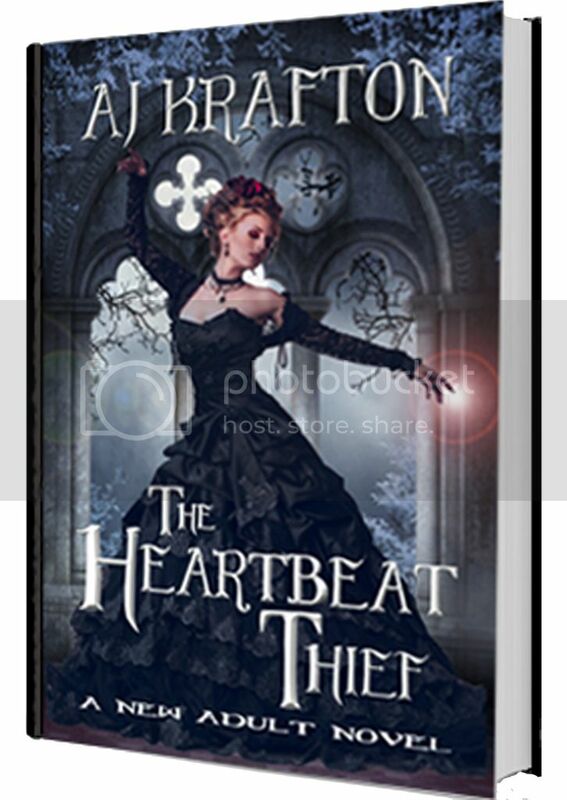 In The Heartbeat Thief our heroine, Senza Fyne, took much comfort in the ritual of tea time. Despite her longer-than-usual life, she never lost her affinity for a well-set tea. It connected her to precious memories of family and friends and times long gone by. Here’s a brief excerpt from The Heartbeat Thief, in which Senza prepares tea for company for the first time in a very, very long time. The tea kettle hissed, the steam building up to a whistle. She plucked it off the heat before it could reach full shriek. She didn’t like noise. She’d become far too accustomed to quiet and stillness. It had been ages since she made tea, a proper tea with a full service and decorative sugars. She’d missed the routine. Grandmother had always taken three lumps of sugar in hers. She’d preferred a Darjeeling, earthy and fragrant, over the milder Assams and startling Keemuns that Father would bring home. Darjeeling, she’d insisted, was an expression of liquid divinity. If you could taste the earth, you could touch the stars. Be one with everything. Senza blinked, stirring herself from the hazy memory. Grandmother had always told her to live in the moment. Senza seemed only to live in the past. Wrong moments in which to live. She rubbed her temple with the bend of her wrist and spooned tea leaves into the pot. Funny that he’d procure a tea service for her in this rustic shanty, a proper set with a silver empress tea strainer and matching sugar and creamer pots. Odd that he’d provide a service for two people, especially since she’d always been completely alone. Senza arranged the service on a broad silver tray and arranged a spread of biscuits onto a saucer, next to a plate of cucumber and spread cheese sandwiches. A small bowl of candied fruits completed the tea. All had been conveniently located in the small pantry, as if she’d shopped the list on her own. Stepping back, she surveyed her work. Grandmother would approve. A good host always saw to the tea herself, taking every pain to ensure her guests lost track of the time of day. Hefting the tray, she carried it into the front room, still startled by its shocking transformation. A small but cozy fire blazed in the simple brick fireplace, near to which an unfamiliar tea table stood. Hand-embroidered flowers trimmed the edge of the linen, matching the elegant bunch of flowers that topped a grey ceramic vase. Senza enjoyed a small tea in that scene, but I love this post that it shows a full elaborate spread that Senza would really have enjoyed. Now, THAT’S what I call a happy tea time. Perhaps the next time you’re experiencing a “sinking feeling” you’ll treat yourself to a cup of Darjeeling and a cinnamon scone and have a happy moment to yourself (or, better yet, with a friend). There’s no reason to let go of the past when it’s full of sweet traditions like tea time. No wonder Senza Fyne never surrendered her fondness for the practice, even as the years took everything else away from her, bit by precious bit. 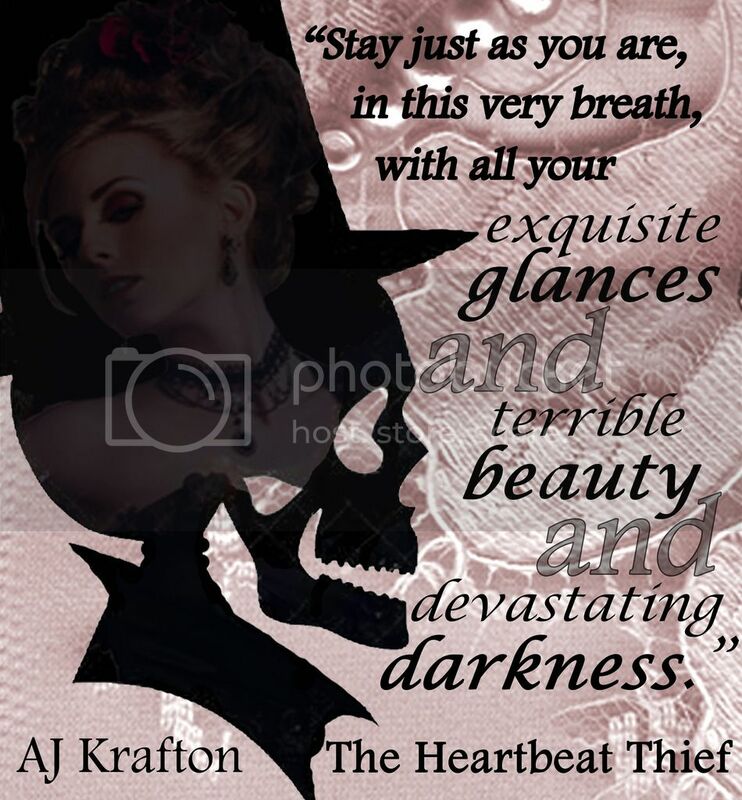 For more images of tea time and the book THE HEARTBEAT THIEF by AJ Krafton, visit this book's Pinterest page! Find more to love at www.ashkrafton.com. I have this hang-up when it comes to replying to tweets on Twitter. I will be scrolling through my feed, and see a tweet that catches my eye. I want to respond, but I always do something first. I hover over the person and read their bio. Are they agented? Or a published writer? Or are they like me, a writer who doesn't have a book title in their bio (yet). When I see that they're an agented writer/and or published author (especially w/the Big 5), that's when I hesitate. Will they curl their nose at having someone they don't know replying to them? Or will they just think it's nice that one of their followers is interacting w/them? Or b/c they don't know me, will they flip their hair/twirl their mustache and think: Who is she to reply to me? But I'm not any kind of fancy potato here. And I know this is where my insecurity is tripping me up. That somewhere deep down I feel like I'm not good enough since my eight years of writing hasn't gotten me that magical 'repped by' in my bio. Or TITLE OF AMAZING BOOK HERE (name of fabuloso publishing co. here). And so without one or both of those things, I'm hesitant to interact with those people that do have that. And I also know it's not fair to think that those agented/pubbed writers are automatically going to feel snobby about me responding to them (as isn't that why we're on social media, to grow connections and be heard?). And for the record, I've had plenty of wonderful interactions w/agented/pubbed writers. B/c they're ppl just like me, many of whom struggled for years (just like me) to get where they're at. So most days, I pluck up the courage and go ahead and say whatever I have to say to them: Cute baby! Love that room! Adorable dog/kitty! Also, those ppl that would flip their hair/twirl their mustache? I know they're not worth my Tweet-replyn' time. Thanks very much, Leandra, for hosting me! Tara pulled back the blankets to uncover the prince's bandaged shoulder. She sliced through the wrappings with her dagger, exposing the festering wound. Then she cut a gash across the palm of her left hand and placed her bleeding hand over the wound. Power flowed through her, warm and strong, filling her being. She closed her mind, trying not to broadcast what she was doing. Focusing her thoughts, she sent her power coursing into Kaden. 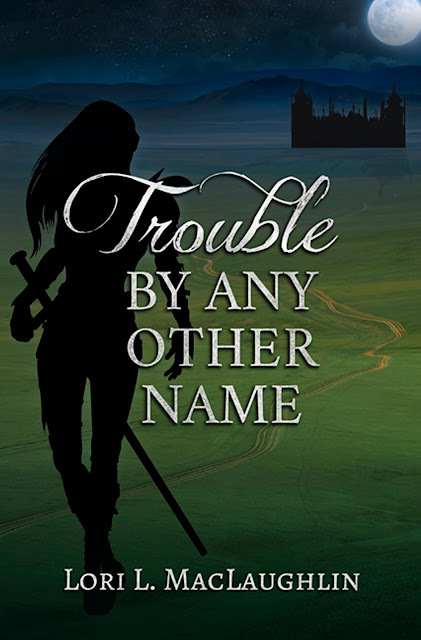 Pain split her shoulder as if she were the one who had been hit by the arrow. She sucked in a breath, gritting her teeth. The spasm passed, and her power sang through Kaden's body, healing flesh and bone, rooting out the infection that threatened his life. When his blood was clean and his shoulder nearly healed, she reined in her power and began to ease it back into herself. Icy jabs of warning froze her in mid-thought. Something was wrong. Panic crawled into her throat, and she couldn't breathe. Forcing herself to calm down, she closed her eyes and searched the stream of power, pulling it slowly back, her mind probing for whatever had set off her danger sense. She gasped as her mind touched blackness. The evil presence, the creature of her nightmares, had dug its claws into the power stream and was riding it back into her. "No!" she cried, her hands flying to her head. She flung up a mental wall and thrust outward again and again, pummeling the creature until it let go and sank with a shriek back into its dungeon prison. The power snapped back into her, knocking her backward. She lay on the floor, panting. Her head spun like a maelstrom. Another presence touched her mind, cool and inquisitive, unfamiliar. 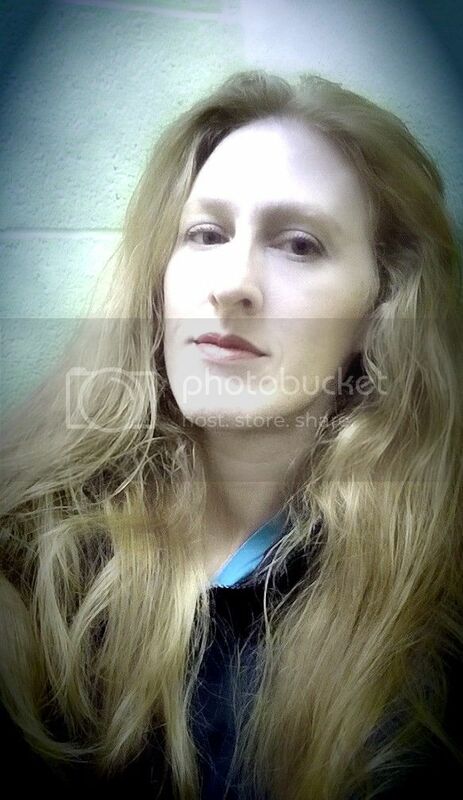 She recoiled violently. Her mental wall rammed against it, and the touch vanished. "Tara!" Jovan Trevillion's voice rang out as the door banged open. Tara heard running footsteps. Then Jovan and Laraina appeared beside her. She sensed more than saw them, their blurred faces whirling around her in dizzy circles. 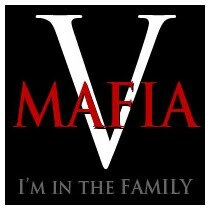 Jovan scooped her into his lap and cupped her face with his hand. "Tara," he said urgently. "I'm fine," she whispered. "Just dizzy." She closed her eyes, waiting for the swirling of the silver and blue color of her eyes — one of the side effects of using her healing power — to stop, so she could see clearly again. Jovan cradled her against his chest, holding her close. She could feel his heart pounding. She sensed fear, relief, and apprehension. 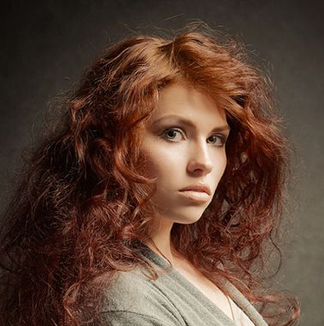 "I told you not to do it," he murmured against her hair. "Why won't you listen to me?" "It's my fault," Laraina said. "No, it's not." Tara sat up with an effort. Jovan glared at Laraina. "I can't believe you asked her to do it." "I-I'm sorry," Laraina stammered. "I —"
"Leave her out of this," Tara said, hearing the tears in her sister's voice. "It was my choice." Beloved readers!! 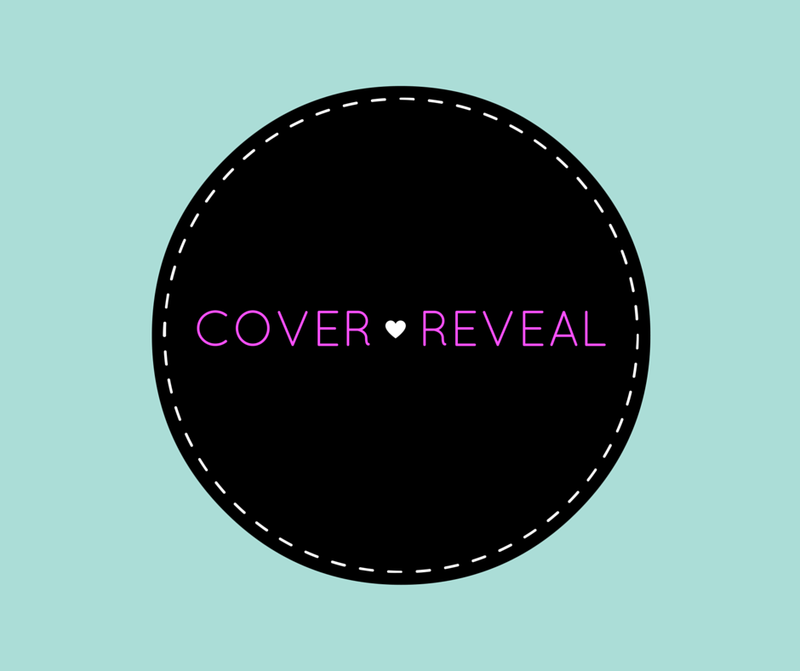 I am so excited to help share the cover of my critique partner's book, At First Blush. Beth Ellyn is so sweet and lovely and talented, and this cover is just perfect (like she is!). So, quick! Scroll to see the awesomeness!! 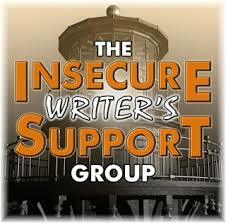 The ISWG is a community where writers can share their fears and insecurities about the writing life. To learn more, check out their website here. How? How in the world is it June already? And it's going to be hard for me to savor this month and not wish it gone quickly, as I go on vacation at the beginning of July. But enough about that! You're here to hear me spill about my latest writer worry-bender. I'm feeling not too shabby, to be honest. As some of you may have read earlier in the week, I got an acceptance for my short story "Prina and the Pea", which will be published in Circuits and Slippers, September 2016. C&S is an anthology that mixes fairy tale retellings w/sci-fi elements, so I'm really looking forward to reading it, as how fun are those two together? But as to insecurities, my work ethic as of late has been driving me crazy. I pretty much can't write at home anymore. I do the majority of my writing at work, as I sit in my cubicle all day, answering the phone (yup, I work at a call center!). Some days I'm too busy to get in more than 50 words or so. Other days, we're much slower, and the word count adds up to much higher. Then the weekend comes, and I think, yup, I can fit in another 500 words. Maybe even 1000! And...nope. I'm too busy doing housework, grocery shopping, and yard work to get in the writing. And when I do find a spare moment, I just want to read or watch TV, or dabble w/diy stuff. Which I know playing catch-up and relaxing is important in the grand scheme of things, but still. If I want to finish my latest WiP in the goal I've set for myself (a year from beginning to end, revisions, cp edits, more revision, and final polishing), then I need to find time to squeeze in some home writing.